Personal injury law requires skill, understanding, and a passion for helping others. The Daspit Law Firm employs all three of these characteristics to give clients the best chance of recovering the compensation that they need. 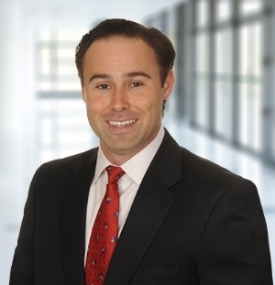 As a personal injury attorney, John Daspit is passionate about helping others. Coupled with his experience as an insurance defense attorney, this characteristic is what drives him to produce the best results that he can offer for each client. Some firms handle a multitude of practice areas, but not The Daspit Law Firm. We focus our efforts and our experience on one objective: helping accident victims. We are committed to becoming leaders in the personal injury field, so speak with a member of our team today to see what The Daspit Law Firm can do for you. Personal injury law allows us to do what we do best: fight for the rights of accident victims. After an accident, it is easy to feel overwhelmed by hospital bills and the cost of ongoing medical care. We choose to help accident victims and their families as they face what may be the hardest challenge of their lives; and we love nothing more than helping our clients move on with their lives after a serious injury. Attorney John Daspit is a former insurance defense attorney, which gives him a unique advantage against insurance companies. ÃÂ Additionally, he worked as a lawyer for one of the largest and most prestigious law firms in the state, Fulbright & Jaworski. During this time, John handled high-stakes cases, including a major BP Texas City Refinery explosion case. At The Daspit Law Firm, we are genuinely interested in the outcome of your case. We are committed to helping our clients and exhaust every available resource to make sure that they recover maximum compensation. We personalize each case strategy to the unique needs of our clients and never pass our cases off to a junior partner or staff member. When you work with The Daspit Law Firm, you work one-on-one with your lawyer. Visit our website to learn more about our distinctions.